JAMMU, Mar 26 :- To facilitate the smooth participation of Kashmiri migrants in Lok Sabha elections scheduled to be held next month and to address the complaints of migrants putting up in Jammu and various other parts of the country, the Election Commission of India (ECI) has extended the existing scheme for the migrant voters with online facilities to make the system easy for voting from any part of the country. To ensure exercise of franchise by migrants smoothly, the Election Commission has also established 26 special polling stations for displaced people from Valley across the country. 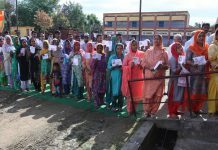 Out of them, 21 special polling stations will be established in Jammu where majority of displaced people from Valley are putting up while four polling stations will be established at Delhi and one in Udhampur district of this region. A notification to this effect was issued by ECI in New Delhi today. 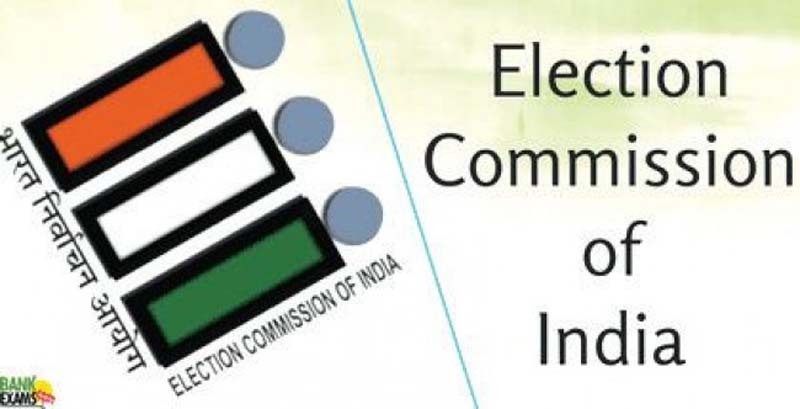 As per the notification, the ECI has also appointed Assistant Returning Officers for the migrants who included Assistant Commissioner, Revenue in the office of Relief and Rehabilitation Commissioner, Jammu for Jammu, Collector Northern Railways, Udhampur, for Udhampur district and Deputy Director, Horticulture, Planning and Marketing for Delhi. In addition to this for the first time this year there will be online verification of Form M and Form C. The Electoral Registration Officers (EROs) concerned will verify the details in Form 12-C and sign the certificate in Part-l of the Form. 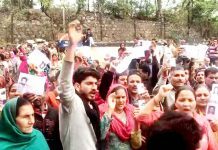 The concerned EROs will scan and upload Form to transmit the same to the ARO Migrant at Jammu, who will take further necessary action to send Postal Ballot to the concerned voter. Hard copies so uploaded are to be sent to ARO Migrant at Jammu. The migrant voters residing at various places other than Jammu, Udhampur and Delhi can also download Form -M and Form-12-C from the ECI website and after filling the same, they can get them verified from the Electoral Registration Officer of the areas where the voter is residing. To make the system foolproof, the Electoral Registration Officers can have access to the details of migrant electors enrolled in their respective Parliamentary Constituencies (assembly segment-wise) in Kashmir through ERO-Net. The ERO concerned, after verifying details in the Form ‘M’ will scan and upload them to electronically transmit the same to respective AROs for further necessary action. Hard copies so uploaded, are to be sent to AROs Migrant Delhi, Jammu and Udhampur as the case may be. To avert the delay, the Postal Ballot will be sent through Speed Post to the concerned voter by the ARO Migrant, Jammu. The voter can send polled Postal Ballot through Speed Post (free of cost) to the Returning Officer concerned of the Parliamentary Constituency to which migrant belongs so that the same can reach the RO concerned in time. The cost of Speed Post will be borne the Government. The ERO will however verify the EPIC and local residential proof of the migrant before signing the certificate. This information should reach the concerned AROs 10 days before the voting. The Relief and Rehabilitation Commissioner, Migrant, M L Raina said that this step was taken for the first time to facilitate the on line submission of Form C and M Forms. As per notification the online scheme devised for the purpose worked very well during the elections to the Legislative Assembly held in September-October, 2002 and the similar arrangements were made during General Elections to Lok-Sabha held in 2004, 2009 & 2014. 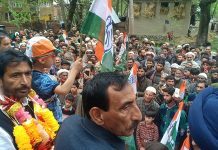 The Commission, after taking into consideration the success of this scheme has decided to extend it for the general election to the House of the People from Jammu and Kashmir scheduled to be held in April-May, 2019. The Kashmiri migrants who are living far away from the camps, etc and wish to vote by post, have been separately notified as ‘notified voters’ in terms of Section 60(c) of the said Act read with rule 27A(b) of the Conduct of Elections Rules, 1961. Assistant Commissioner, Revenue in the Office of Relief and Rehabilitation Commissioner, Jammu who is designated as Assistant Returning Officer for the three Parliamentary Constituencies in the Kashmir Valley will be responsible for the receipt of applications from the voters who wish to vote at the special polling stations and also from those who wish to vote by post. 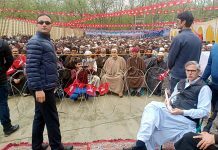 He will also be responsible for preparation of marked copies of electoral rolls for those polling stations, etc., and all other arrangements for the conduct of polls at these polling stations. Likewise, Deputy Director, Horticulture, Planning & Marketing, Delhi is appointed as the ARO for the receipt of applications, conduct of poll, etc., at the special polling station(s) to be provided in Delhi. Collector, Northern Railways, Udhampur is appointed as ARO in respect of the special polling station(s) at Udhampur. 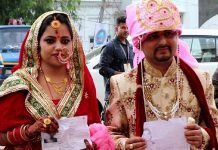 At Jammu the Special Polling stations will be set up at Women’s College, Gandhi Nagar, Government Engineering Collage, Canal Road, Directorate School Education, Muthi, Directorate of Economics & Statistics, Janipur, Jammu, Migrant School, Purkhoo, Agriculture Complex, Talab Tillo, Migrant School, Roop Nagar, Migrant School Nagrota, Govt. Higher Secondary School, (Migrants) Jagti-A, Govt. Higher Secondary School, (Migrants) Jagti-B, Panchayat Ghar, Barnai, Agriculture University Complex, Udhaiywala, J&K Board of School Education, Rehari, Govt. Middle School, (Migrants), Jagti, Community Hall Jagti, Govt. Girls Middle School Chak Changerwan Chinore Chowk, Govt. Girls Primary School Gangyal, Jammu, Govt. Boys Higher Secondary School Poni Chak, Govt. Boys Higher Secondary School, Sarwal, Govt. High School Sagoon, Miran Sahib, Govt. Higher Secondary School Channi and Old Municipality Town Hall at Udhampur. In Delhi, J&K House, 5, Prithiviraj Road, office of the Deputy Director, Horticulture, Planning and Marketing Shalimar Bagh, Delhi, SDM Office, Najafgarh and Arwachin International School, F-Block, Dilshad Garden, Delhi will be the polling stations. 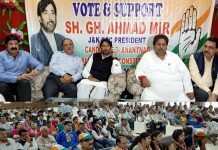 So far as the Kashmiri migrants living in other parts of the country are concerned, it may not be feasible to provide polling stations for them and they will have the option to exercise their franchise through the postal ballot system, as was done at the time of general elections in 1996, 1998 and 1999, 2002, 2008 and 2009 and 2014 and the arrangements made in this behalf, will have to be repeated. In order to ascertain the specified voters who would like to vote at special polling stations for migrants, the ARO may ask the voters to give their preference in writing. As this information is to be collected for the purpose of allocating these voters to the above mentioned polling stations, it may suffice if the head of the family or any senior member of the family gives intimation of the members of his family and the authorities may not insist upon individual intimation from each elector. 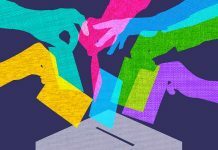 Though the right to vote is an individual right, the gathering of such information from the head of the family would not act against the individual right as at the time of election, the voter concerned will have to exercise that right individually after satisfying the polling staff of his identity. This information may be obtained from the head/senior members of the families on a non-statutory form, called ‘Form M’. 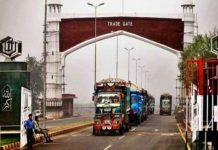 Copies of M form will be distributed through the Relief Commissioner’s Office at Jammu and Resident Commissioner’s Office at Delhi and through the camp commandants of the migrant camps. 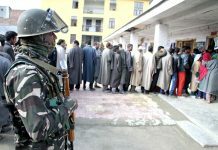 The head/senior members of the families of specified voters can give the requisite information in Form M to the above-referred AROs at Jammu, Udhampur and Delhi immediately and at least 10 days before the date of poll. According to Election notification the polling at these special polling stations will be conducted by using separate EVMs for each PC as at the other normal polling stations in the constituency and all rules and directions and instructions applicable to the conduct of poll at the normal polling stations will apply at these special polling stations also. Any ‘notified’ voter who wishes to vote by post is required to make an application for postal ballot in Form 12C appended to the Conduct of Elections Rules, 1961 to any of the AROs at least 10 days before the date of poll in the constituency in which the migrant voter is registered. 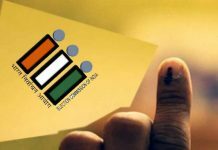 The returning officers of the three Parliamentary Constituencies will also make available well in advance, the electoral rolls of the Parliamentary constituencies concerned in the offices of the AROs to enable the ‘notified’ voters to fill in their required particulars in their applications in Form- 12C. These applications before submission are required to be verified and attested by the officers in charge of transitory camps or by any other gazetted officer. Sufficient number of gazetted officers shall be made available for the purpose in the offices of the AROs. 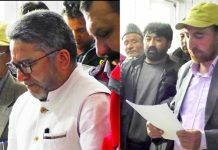 ARO Migrants Jammu will be solely responsible for handling the applications in Form-12C received from ‘notified’ voters and for supply of postal ballot papers to them. 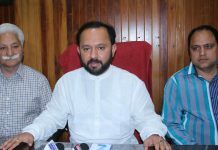 For this purpose, all Returning Officers of three Parliamentary Constituencies shall make available to the ARO at Jammu sufficient number of ballot papers to be used as postal ballots. Deputy Director, Horticulture, Planning & Marketing, New Delhi and Collector, Northern Railways, Udhampur, who have been designated as AROs for Delhi and Udhampur will make every endeavor to forward with least delay all applications in (Form-12C) received by them for postal ballot paper to the designated ARO at Jammu. They will also maintain a complete list of applications so received by them and forwarded to the ARO at Jammu.